Today we mark the first week of the Summer Sampler 2018 : Summer Road Trip Quilt Along! We are kicking off this summer quilt along with a block designed by Katie Blakesley of Swim, Bike, Quilt. This block is inspired by a 15th Century Water Well in India. It's not too late to sign up for this quilt along. When you sign up after the start date, you will get all the patterns that we've release to-date. 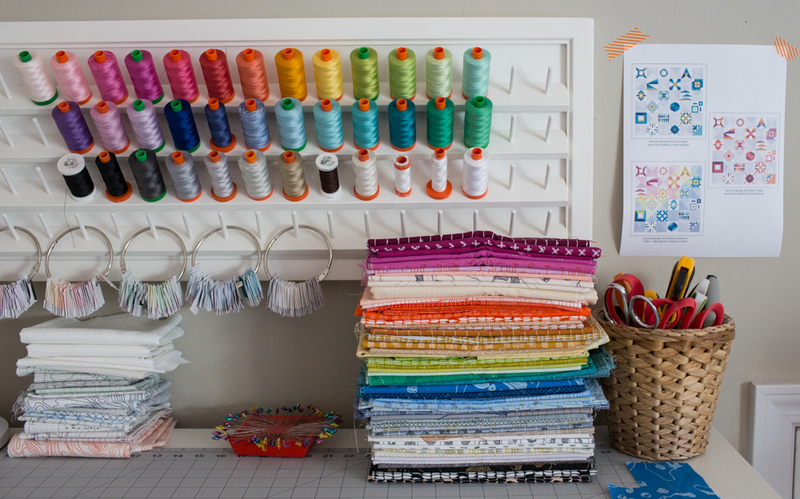 You can catch up on past blocks on your own schedule and continue quilting along with the group (550+ quilters!) as we release weekly block patterns. I'm so excited to see everyone's quilts take shape over the next few months! Happy sewing everyone!